You’ve always had the ability to budget a set number of hours for a project in Harpoon, and then see your recorded hours progress tracked against that budget. This has worked great for traditional fixed projects. 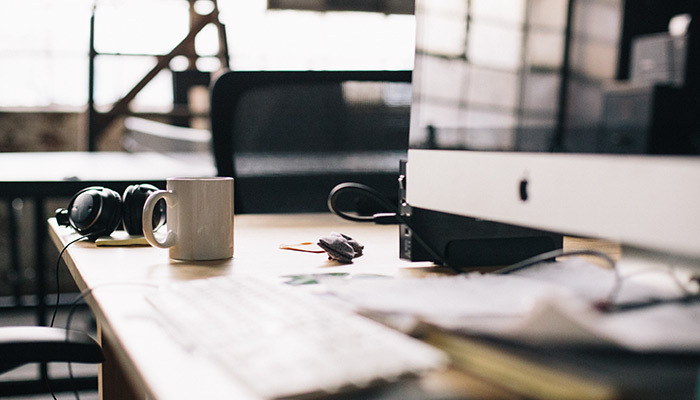 For example, if you know you want to work a maximum of 40 hours on a project you can enter that amount into the Hours Budgeted field when creating or editing a project. 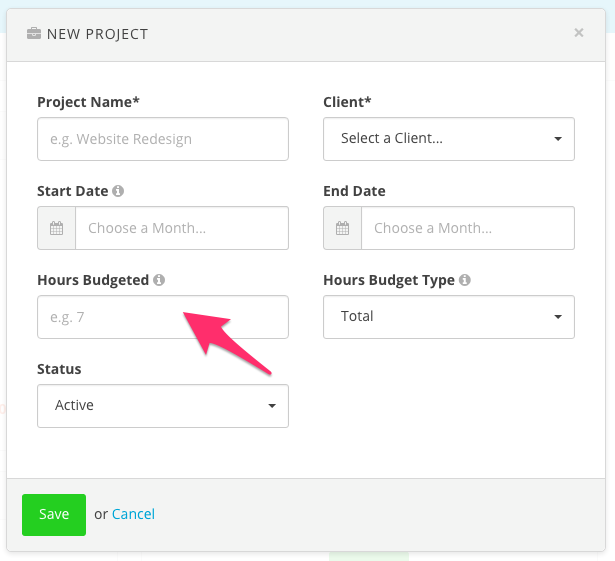 But starting today we’re excited to introduce a new option that allows you to select an Hours Budget Type. This is helpful for when you have an ongoing retainer type project that has a certain amount of budgeted hours every day, every week, or every month, instead of a fixed total amount of hours. For example, you might have a monthly retainer in which you’d like to budget 40 hours every month, instead of 40 hours total. And you’d like to see a running total of your tracked hours for the month compared to your budgeted hours for the month. Harpoon now handles this using the Hours Budget Type option. You’ll find this option when creating or editing a project. 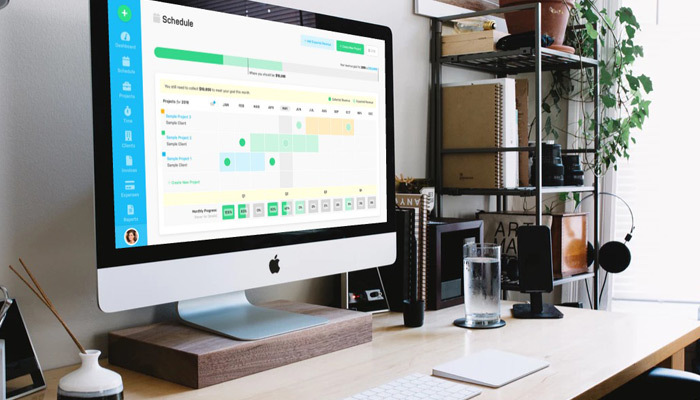 The Hours Budget Type option allows you to determine how often you’d like your recorded hours progress to be “reset” when tracking against your budgeted hours. 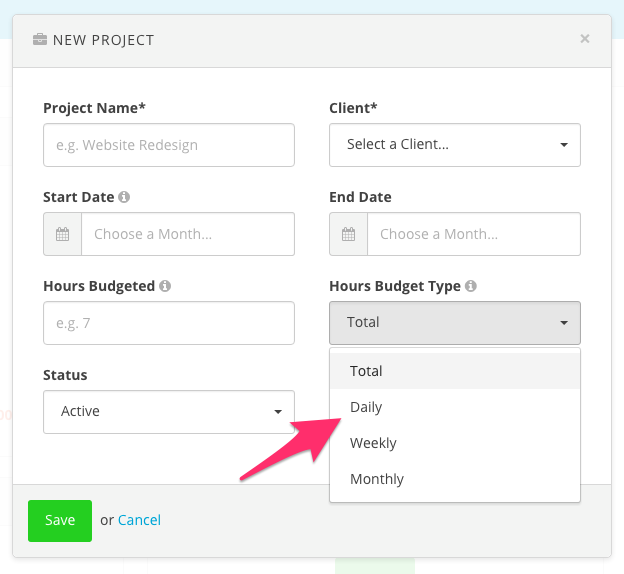 For example, if the project is an ongoing monthly retainer, and you’d like to budget 40 hours a month for the retainer, you can type “40” in the Hours Budgeted field, and select “Monthly” from the Hours Budget Type drop down. 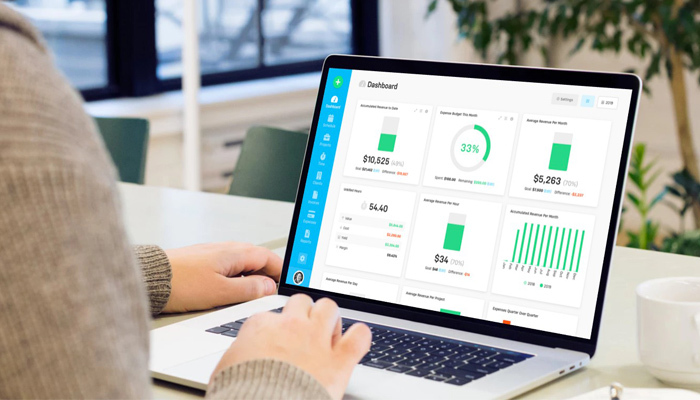 This will cause Harpoon to display a running total on your Project Details screen of your recorded hours compared to your budgeted hours, including how many hours you have left available. 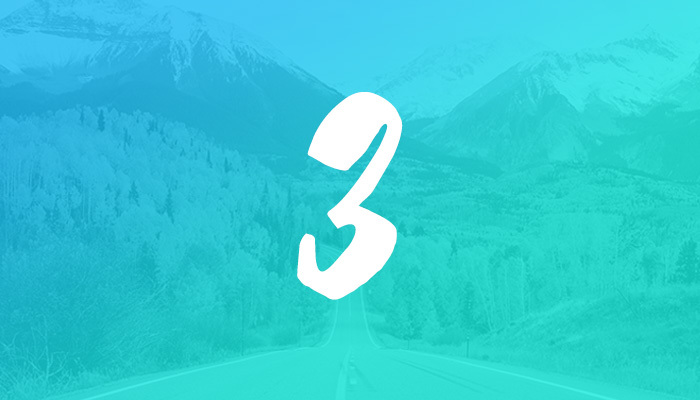 And then at the beginning of the next month your running total of recorded hours will go back to zero. Each month starts fresh again. We know a lot of you have ongoing retainer projects so we’re hoping this feature will make it much easier to manage your tracked time in those situations! To learn more about handling retainers in Harpoon browse our Retainer support articles.